We'd like to share some information with our members about how the CGOA board of directors makes decisions about our conferences. Since our conferences are held in conjunction with the TKGA conference and the Knit and Crochet Show (vendor shopping area), all three groups have input in the decision-making process. Two of the most difficult decisions to make about holding a conference are where to hold it and when to hold it. Lots of factors must be considered when making those decisions. 1. Where in the past have we attracted the most attendees? 2. Do we want to try someplace new? What are the costs of the conference center, and how much will hotel rooms cost our members? How convenient is this place to get to by car, or airplane, or train? 3. When is the venue available? We are not a large conference, so we have a limited pick of sites. Of the sites that we have been to, including Atlanta, Chicago, Oakland, Portland, Philadelphia, Manchester, Buffalo, and West Palm Beach, where did we get the most attendees? It was in Manchester, New Hampshire. (We had our first regional conference, along with the TKGA National Conference, in Atlanta. We had approximately 50 crocheters register for classes at that conference and sold 115 crochet class tickets. In Manchester we have drawn hundreds of crocheters in pre-registration, multiple years, and sold over 800 class tickets each time!) So, even though Manchester is not an airline hub, it drew more attendees than other conferences that were at hub cities. And, the conference center/hotel situation was very convenient for teachers and students. The conference center was adjacent to the hotel, so that teachers and attendees did not have to take a bus or hike back to their room at lunch if they wanted to drop something off. The teachers were very appreciative of this! As for the time for the conference, because of our size and our room needs, we often don't get a lot of choices. The conference centers usually stay booked years in advance. We can't make our reservations years in advance, especially when we are testing new locations to see if they are viable. Sometimes, like Buffalo and Portland, there is not enough response to make it feasible to keep returning. We don’t want to be locked in by multiple-year contracts to venues that prove to not be financially feasible. And sometimes in checking out new locations, the dates we want aren’t available immediately and we have to wait a year. And in those cases (like this year) our fallback, proven venues also have date issues. So we have to take the times that we can. This year, the weekend is right after July 4th weekend. Not the most ideal time, but the only time available in the summer, when most of the attendees told us they like to attend the conferences. Whenever a decision like this has to be made, we, the board members, know that we can't please everyone. But we want to please as many people as we can. We took a poll of our members in 2008 and as part of a Knit & Crochet Show poll in 2009, and the majority of those who responded said that they wanted the conferences in the Northeast in summer. We also know that disappointed members will consider not rejoining CGOA, because they feel they're not being heard. Let us reassure you, we are listening. However, we hope you'll change your mind when you realize that CGOA is not just about the Chain Link conferences. 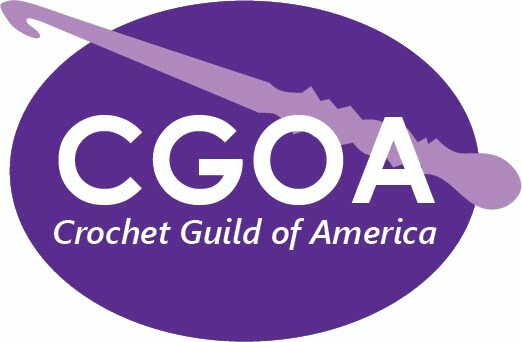 CGOA is a close community of crocheters. And we all want to promote crochet. If you want to have a better organization, think about what you can do for CGOA by volunteering. Even though we have a management company who takes care of the business end of the organization, CGOA is run by a team of volunteers who work together. The CGOA board members all volunteer their time. The CGOA members on the committees and the committee chairs all volunteer their time. The members who help out at the conferences, and the class angels, they all volunteer their time. We couldn't do it without them. If you have any ideas about what CGOA could do to improve, we need you to volunteer, and to help us achieve that. Let us know if you are interested in volunteering to help CGOA become a force to be reckoned with! Also, stay the course. Some changes take time to implement for the best result. When you join or renew your membership in CGOA, you get to take advantage of our discounts at various on-line retailers. You get to enter into our annual design contest (open only to members), you get a free pattern booklet, (new each year) with patterns from the CGOA Board members, you get to take our Masters in Crochet Stitches class, you get to take part in our on-line membership discussion group, you get to read all about CGOA and what's happening on our blog at http://cgoanow.blogspot.com, you get Crochet! magazine with our Chain Link newsletter four times a year, you get discounted classes at our Chain Link conferences and free attendance at the Market (The Knit & Crochet Show). And you get to be a member of this close community of crocheters. Remember, it's you who can make CGOA be as great as it should be! Chain Link's Big Announcement for 2010! Put a big CIRCLE around these dates and start to count down! It's OUR crochet get away! - Design contest, fashion show! - Crochet classes and get-togethers! - Vendors with great crochet stuff! - A venue that's all under one roof: easy to get to everything! Feed your MAD MONEY STASH now, to come to our annual CHAIN LINK! Thanks for your input, and watch the blog sidebar for new polls! a location for the Chain Link conference? new classes or instructors for Chain Link? additions to the CGOA website? new benefits we can offer our members? Please post your suggestions as comments to this post. All suggestions will be given thorough consideration by the board of directors. Watch this blog for announcements about suggestions we are able to implement.